100 cleaners jobs at SkyCity were saved when an employment authority decision stopped the company from contracting out their work. The collective agreement that Unite has with SkyCity says that the company will treat workers with decency and respect. Too often claims or promises to treat workers well are simply empty words designed to remain on paper. This time a company has been forced to comply with its promises. Hotel cleaning staff at a major hotel have received thousands of dollars in back pay after they were discovered paying thir staff by the room and not meeting their legal obligations under the minimum wage act. 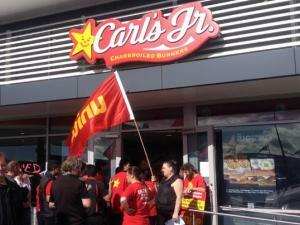 The owner of seven Carl’s Jr stores in Auckland sold them to Restaurant Brands without a thought about what would happen to the workers. After the intervention of Unite we got three weeks pay in lieu of a full four week’s notice as required in our collective agreement. In addition, after a three way discussion between the union, the new owner and the old owner of the stores all of the migrant workers with visas specific to the old owner will be able to continue to be employed. We still have some back pay issues to settle through a separate process with the old owner but everyone has a job and their service will be recognised by Restaurant Brands. The cleaning manager at a major hotel in Auckland announced that because of the law change she didn’t have to provide breaks for staff until the end of the shift. We have individual members at the hotel and no collective agreement as yet but with a judicious bit of media attention the hotel management got the message and apologised to all staff for the “misunderstanding”. A job market with more casual labour and an increasing number of zero-hour contracts is leaving Manawatu families wanting. Palmerston North’s Methodist Social Services food bank co-ordinator Stacey Rohloff said there were a number of people using the food bank to make up the difference. More zero-hour contracts added to the problem, as it meant workers did not have guaranteed hours of work. "They never have a budget that’s secure," she said. Massey University research has found almost two-thirds of work was casual, part-time or contracted. Methodist Social Services found "the worst thing" was the increasing number of zero-hour contracts. In Work Tax Credits are designed to go to those who are not on government benefits and who work a certain amount of hours each week. To qualify for the tax credit a single parent with a dependant child, under 18, must work a minimum of 20 hours per week, while a couple must work 30. Their hours were also insecure, so could fall short of the 20 or 30-hour threshold, Rohloff said. There is an option that allows families to obtain the tax credit at the end of the financial year, in a lump sum. 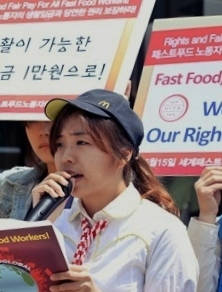 "It sounds great, but generally they [families] have struggled the whole year." Receiving the tax throughout the year was also possible, but anyone overpaid at the end of the year would have to pay it back. The money from the lump sum would go to paying off debts accrued throughout the year, Rohloff said. It was hard for some parents, who thought they could not do without it, because they still had to feed their children, she said. Rohloff said she believed the In Work Tax Credit was a "bit of a sham". The Child Poverty Action Group (CPAG) also expressed dissatisfaction with the tax credit system in light of the current employment market, as workers were missing out due to "red tape". Although parents were missing out on the extra money, it was their children who were being affected. CPAG economics spokeswoman Susan St John said that the "discriminatory and inflexible" family assistance package failed to protect children in a casual work environment, where parents’ work hours were uncertain. "The unrealistic, rigid hours-worked requirements must go as a first step in badly-needed reforms to reduce child poverty." A spokeswoman for Minister of Revenue Todd McClay said the tax benefit was always designed to "ensure people in work were better off than being on welfare". "On the wider issue of child poverty, the Government’s absolutely committed to improving living standards for all children, particularly our most vulnerable," she said. "Cabinet is working on a range of options right now and they will form part of next year’s Budget." Labor unions issue statements on Ferguson. The reactions to today’s grand jury decision in the case of the shooting of unarmed teenager Mike Brown reflect a deeper feeling that our justice system is biased against communities of color. While we can all agree that justice must take its course, we cannot deny or marginalize the perception that the system, itself, is not yet color blind. As a labor movement, we have begun working with local community organizations to address issues of racial and economic inequality that surround Ferguson and so many other neighborhoods like it. We will continue that work. We are dedicated to supporting organizing efforts that reinforce unity, healing, and fairness in policing while working to heal the rift between the Ferguson community and law enforcement officials. 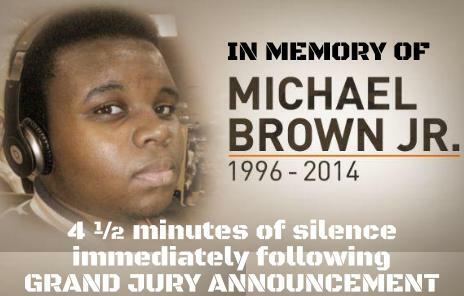 Today a grand jury refused to indict the man who killed Michael Brown. We are deeply disappointed in the grand jury’s decision today. It deepens the wounds to the Ferguson community. 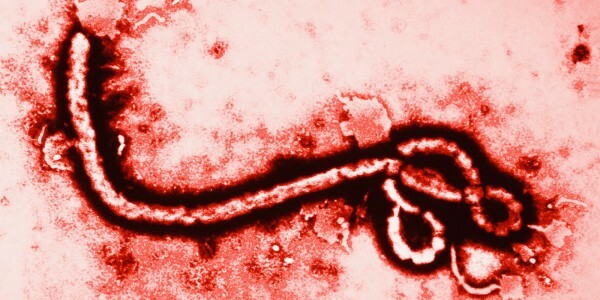 The outbreak of an Ebola epidemic in West Africa over 2014 has exposed the collapse of public health systems in many African countries affected and the paralysis of the wealthy West to be able to mount a response in time to prevent the outbreak killing tens of thousands and possibly millions. In contrast revolutionary Cuba and its medical internationalism has emerged as an example to the world of what is possible when ethics replaces cold calculation. The world has been forced to acknowledge a debt to that small island nation of just 11.2 million people who are now the front guard of the fight to stop the spread of the virus. Today the CTU has sent a letter to Prime Minister John Key articulating serious concerns about both the content and the rushed process the Government has clearly signalled it intends to follow to progress the Countering Terrorist Fighters Legislation Bill into law and urging him to follow the proper process in considering this legislation. “Rushing this legislation through is not appropriate or proper. We will not participate in a sham consultation process or take for ourselves the “luxury” of the chance to be heard at the select committee on the basis of some dubious selection criteria made by those to whom the Bill grants power while other legitimately interested citizens and groups are denied that opportunity,” CTU President, Helen Kelly said. “There has been no evidence presented at all from the Prime Minister that such urgency is needed. Given the severe and unique nature of the powers being sought, quite the opposite is appropriate and a reasonable period of time should be made available for the public to have a say on this legislation,” Kelly said. “The Bill provides authority for the SIS to trespass onto private property in order to conduct covert surveillance (such as installing video cameras and listening devices). These powers will compromise citizens’ right to avoid unreasonable search and seizure and to privacy. The Bill also extends the ability of the SIS to conduct warrantless surveillance for 48 hours in situations where it would be impracticable to get a warrant and it is believed that information may be lost. Warrantless surveillance as fundamentally irreconcilable with expectations of acceptable government behaviour in a free and open society. The only public accountability for the use of this power is that the SIS must note the number of times this power is used in their annual report,” Kelly said. The New Zealand Council of Trade Unions has raised concerns with the Ministry of Business, Innovation and Employment (‘MBIE’) regarding their reported advice to workers about the petrol station drive away issue. Jeff Sissons, CTU General Counsel, says “Clauses in employment agreements allowing employers to deduct money from workers’ wages to compensate them for loss caused by workers are unlawful. In the case of petrol station drive offs the worker will not even be at fault so deducting pay will almost certainly be against the law.